I’ve tried, but I cannot vote for Owen Smith. I was tempted not to vote for Corbyn either, if only to debunk the myth that Labour members are either Corbynites or Blairistas, radical dreamers happy to remain in the electoral doldrums or practical centrists willing to sell any Labour value or policy to get elected in May 2020. I do not believe most Labour supporters fit into either camp. I agree with Owen Jones’ concerns about Corbyn’s project so far (medium.com, 31st July) but also feel that Paul Mason was largely on the money in his critique of the Smith campaign (medium.com 18th Aug). So I will be voting for Corbyn. Winning the leadership contest the first time mandated Corbyn to lead the Labour party into the next general election. That’s democracy. 1997 was the first year I could vote after growing up under 18 years of Tory government. There must be a strategy to defeat the Tories, to stop that fate happening to my children’s generation. There must also be a strategy to use government to make the world an increasingly better place, not a strategy that merely slows down the pace at which the world becomes worse. What is Labour’s ‘Theory of Change’ to achieve this? That should be the conversation. Thatcher claimed that one of her greatest legacies was Tony Blair. She drove the political agenda to the right, and Blair gladly picked up the baton and passed it on to Thatcher’s next political heir, David Cameroon. Thatcher and Blair in particular have – in England at least – both successfully divided and ruled by validating and appealing to ‘aspiration’ defined in the meanest and most diminished terms possible: financial and material enrichment for ‘me and my little atomic family in my little corner of my little country’. Some have become richer; all have become poorer. This version of aspirationalism was openly casual about the extremely wealthy, not admitting to the fact that this meant also being casual about inequality and the other social and environmental externalities of the current political economy which created that extreme wealth (a political economy which they therefore conveniently failed to acknowledge let alone begin to understand or challenge, not least since they were its beneficiaries). This led to a culture of dismissing the ‘losers’: chavs, asylum seekers, pikeys, refugees, migrants and the disabled – the ‘undeserving poor’; championing the ‘winners’: the city traders, the guy with the most recent phone, the media, legal, property and tech tycoons – the ‘deservingly wealthy’; and to wholly neglect our empathic, civic and social instincts, letting them fall into disrepair and disuse. This definition of aspiration did not properly extend to an aspiration for healthy families and communities in all parts of all countries. It did not extend to an aspiration for a healthy relationship with the planet. Their political vision was therefore a neoliberal vision at heart, whose most pernicious result (other than the continued erosion of our social and environmental fabric) was to publicly extol, reward and thus accentuate our most selfish instincts: to make us all more Tory. This is now a well-recognised psychological phenomenon: rewarding our extrinsic values diminishes our ability to identify with our intrinsic values. For Labour, a strategy whose effect was to push the country to the right was always going to be a short-sighted one, possible only during a temporary period of buoyant economic growth and a series of crumby Tory leaders. We are now paying the price (what was that about “no return to boom and bust” Mr Brown?). Blair may have helped Labour into three terms in office (though a tired and sleaze-ridden conservative party was a relatively easy target in ‘97), but his real legacy has been to make England more conservative than ever and more likely to vote Tory. This crucial factor (not Miliband, not a turn to the left, not the SNP, not Corbyn) is a key reason why Labour is now so unelectable. Labour under Blair happily tried to fight the Conservative party at their own game without challenging and changing the game and its rules. Not surprisingly the Tories have come out on top. As a direct result we are ruled by a party that blithely closes sure starts and libraries and presides over a country where nearly 1 in 3 children grows up in poverty. That’s why an alternative was a necessary change, to start the process of playing by different rules, and Corbyn was the only alternative presented to us then (and still is now), at least in England. A strategy that makes the country less Tory is a process that needs all hands on deck and will take some time, and yet many in the PLP cannot see past the next election, the immediate horizon for their political careers. That is why their analysis is so flawed and their conclusions and advice are so untrustworthy, based as they are on a fundamental conflict of interest. I cannot therefore vote for Owen Smith on their recommendation. Labour under Smith would simply continue to decline , losing potential Labour voters who would equate his bland image/politics with those of Blair , Cameron and Miliband . Corbyn cannot unite the party either it seems with most of the PLP embarking on a self-serving campaign to protect themselves and their lifestyle , with the needs of the country a distant second . The media and the Tories have clearly seen the upsurge in support for Corbyn as a real danger and have pulled-out the stops to denigrate and ridicule both his personal and public face , shamefully with the support of too many of the PLP and their apparatchiks . Politically something very strange is happening. 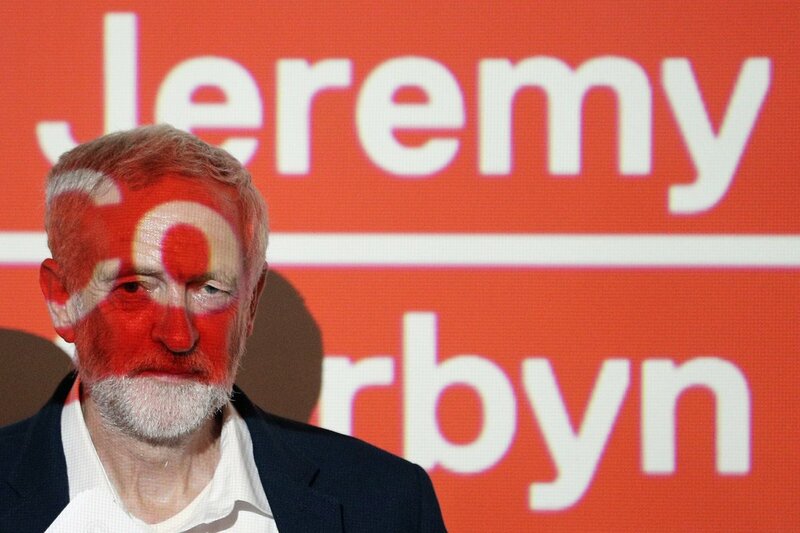 I have a funny feeling that Jeremy Corbyn might just ending up capturing the zeitgeist. Thatcher promised a property-owning democracy, we now have a democracy for the propertied. The fundamental issue with Blair, now rich on his own investments in property, was to ignore the plight of those denied the right to a roof over their heads, and a series of dependent rights which extend into the workplace. Blair, and to his shame Brown after him, took the laissez faire attitude to industry and capital which resulted in the 2008 crash. Labour went into the last election promising austerity-lite. Is it any wonder the Tories won, when Labour offered more of the same, but more gradually? There may be a need for a radical programme of change, but could we just start by addressing the key issue: the poor must be lifted from poverty, the rights of the people (preferably as EU citizens) must be advanced, and the excesses of capitalism, whether in the property market or the capital market, must be curbed (an easier thing to do when the entire world system is braced for the next “exogenous shock”). For those Labour MPs queuing up to back another Smith, waiting for the opportunity to challenge him for the leadership, it would be a good time to go back to your constituencies and speak to the people hit by eight years of lost opportunity, who decided that Labour had no answers to their plight, and had failed miserably to offer them a vision of a better world. Here in Scotland, we have Nicola. And the world is a far brighter place with her than it would be without her. Let’s just hope she has the party and its grassroots on red alert: May will not last till May, and now is the best chance she has of winning an election to give her sorry government some pretence of democratic validation. This is also the SNP’s best chance of seizing the initiative, and securing control of Scottish local government next May and promising a way out of the Westminster Brexit morass by indicating that we will not sit idly by as the Tories break from the single market over the issue of free movement of people. The means of taking a stand might include a referendum, but then again elections give governments and MPs their mandate. Time to actually prepare for independence, looking at all means, including accepting Euros as currency, towards achieving it. It is to our shame that we allowed the issue of which currency we used to be the rock upon which the last indyref was lost. Let’s now start thinking how we remove it by starting to trade in an EU-friendly, eurozone orientated way. We have EU protected rights, without a direct link to EU decision-making, who will underwrite the independence project?